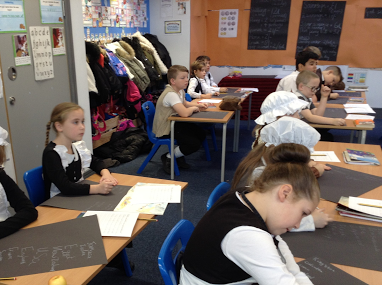 Last Thursday, 23rd November 2017, Year 4 was transformed to a Victorian school for the day! 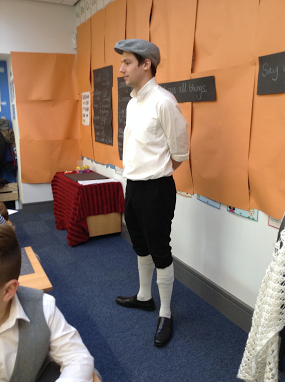 All the children dressed in role and spent the day learning how it felt to be at school nearly 200 years ago. 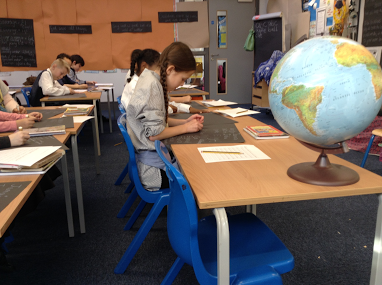 They practised copperplate handwriting with quillpens and ink (rather a lot of blots in their copybooks!). learnt about pounds, shillings & pence (and farthings, florins & ha'pennies), had their fingernails & boots inspected and learnt what 'drill' meant. They really enjoyed playing with some Victorian toys such as diablo, spinners, ball & cup and flip books. 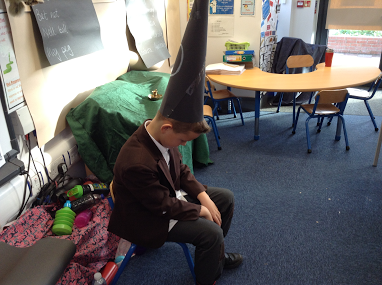 Some children had to wear the Dunce's cap and they all had to remember to stand when a visitor came into the room. Queen Victoria was remembered with the National Anthem and they had a go at learning the Lord's Prayer too.